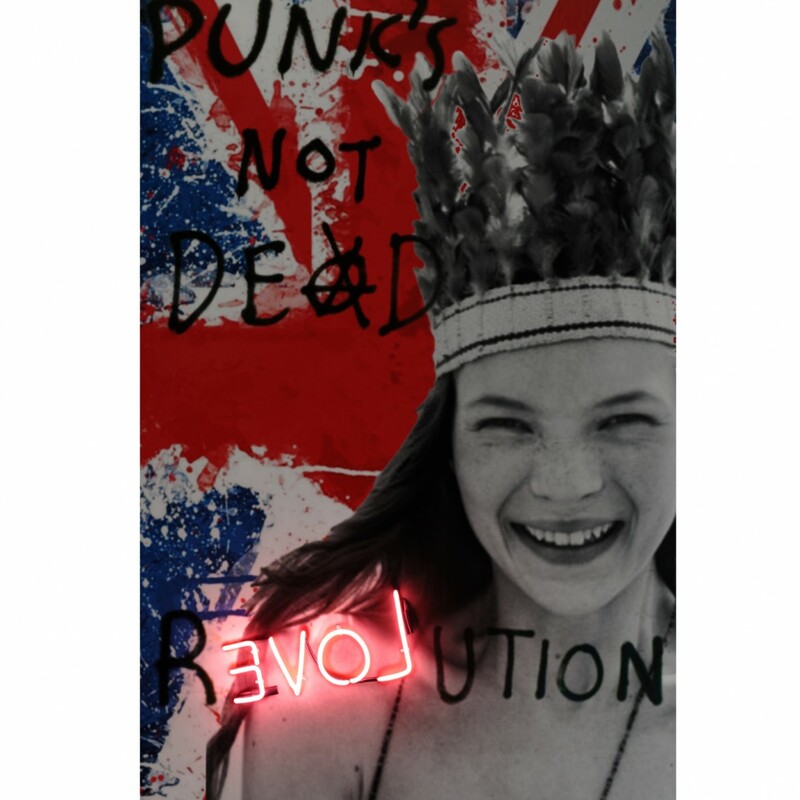 From our Andrew Martin art collection.Introducing the “Kate Moss Young Love Neon Artwork”. This wonderful neon artwork features the iconic cover of a 1990’s edition of The Face magazine. This was when Kate Moss was just 16 years old. Despite her youth, it wonderfully reflects the inner rebel that she has become synonymous with. Here the word ‘love’ backwards, amongst the graffiti style overlay ‘evolution’, lights up in neon pink adding cool colour to a room and permeating the charm of adolescent innocence. Made with glass neon tubes. This striking piece would create a statement in any interior. It would work just as well in a bachelor pad in London or indeed juxtapose in a more traditional living room environment. All featured neon artworks are 240 volts, come complete with a standard 3 pin UK plug and 13 amp fuse, with a wire of approximately 180cm in length. For more from our Andrew Martin collection click here.